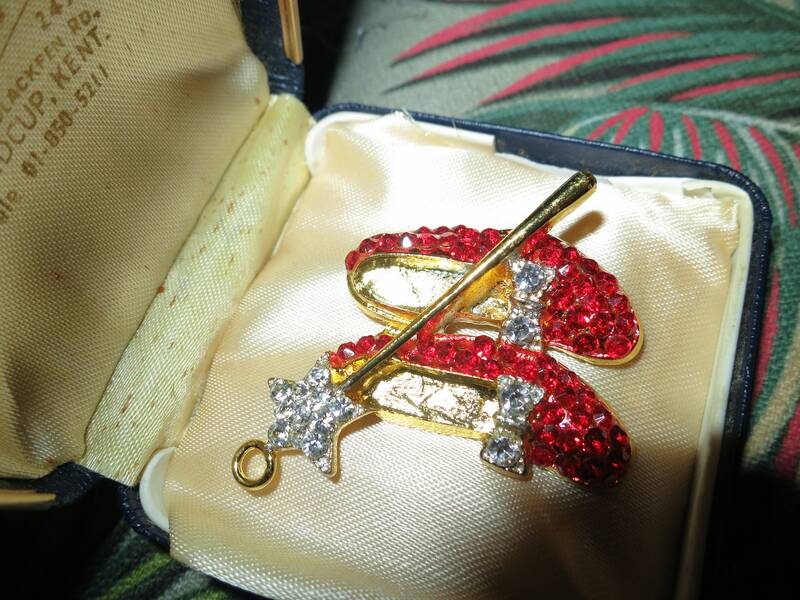 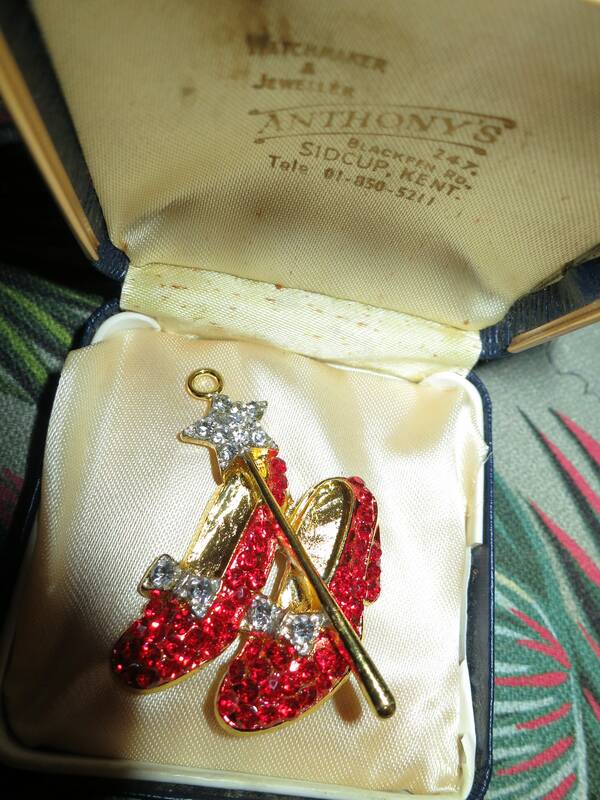 This wonderful pendant necklace from the 1980s has a lovely Wizard of Oz Dorothy's shoes design. 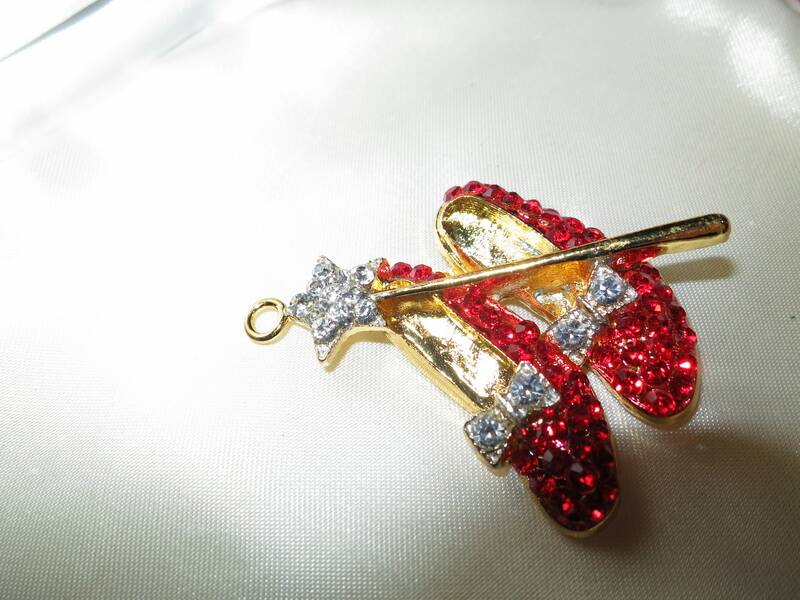 Made from base metal with a gold finish, it is adorned with shimmering red rhinestones. 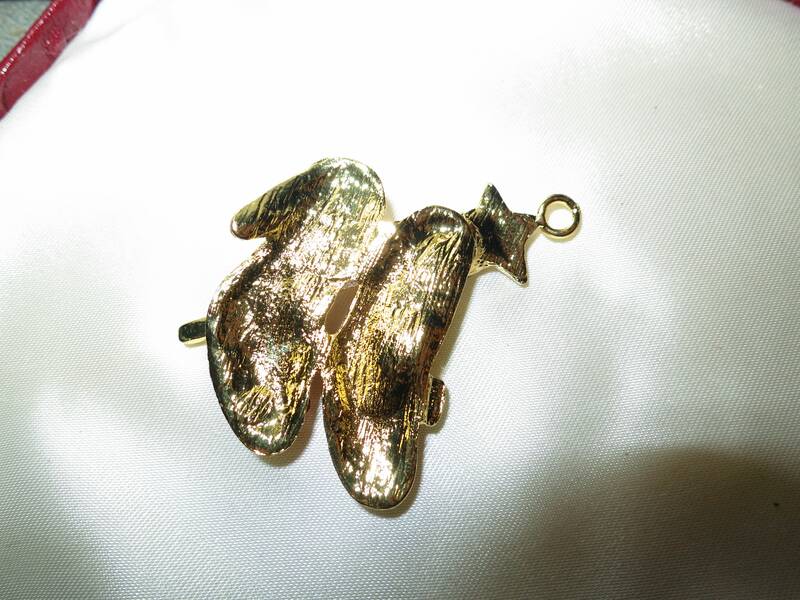 Pendant is 2 inches.